Some might think that Logitech has gone off the UI deep-end with its latest gaming mouse. It tops the company's previous efforts, and those of its competitors, with a total of twenty—count 'em twenty—programmable buttons. Twelve of the buttons have found a home on a curved keypad on the side of the mouse, and with the G600's G-Shift functionality, they can all serve double-duty. 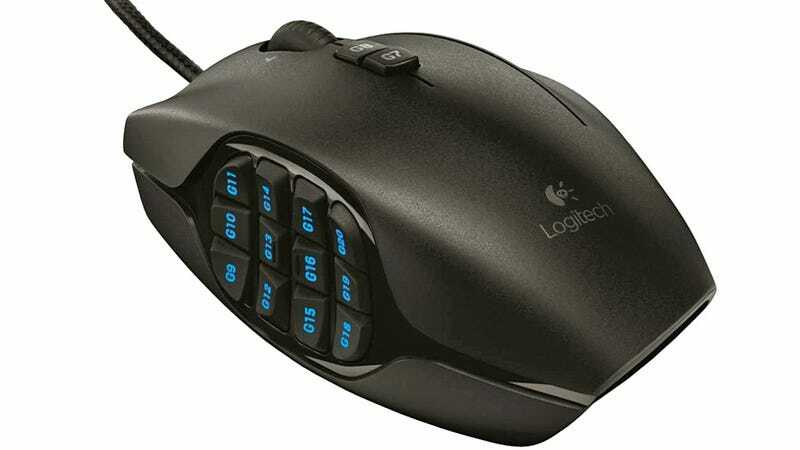 It's of course designed and targeted at MMO gamers who live and die, literally, by shortcuts, and the custom configurations are actually stored on the mouse so wherever it's plugged in it's good to go. With a hefty $80 price tag it might not appeal to the average PC user. That is, until they realize that all those buttons are backlit and can cycle through 16 million colors, making this a veritable party in your hand.